Approved by National Weights & Measures for resale of fuel. (Certificate No. 2805).  Only suitable with diesel or biodiesel up to B30. 90L/min. 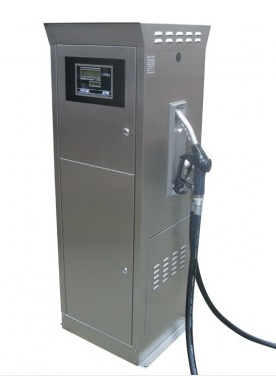  Can be used to resell fuel (No price indication on display).  Left or right hand nozzle holster (Standard right).  Choose the nozzle you prefer, (NOZA.X25) or (ZVA.25).  Please note: Dual sided display not optional. Front nozzle holster not optional.